The purpose of this note is to clear up another confusion. Hon Mr Mahinda Rajapaksa, among others, have cited as a precedent the dismissal of the Australian Prime Minister Gough Whitlam and the dissolution of both Houses of Parliament by the Governor-General in 1975. This involves serious misunderstandings of the facts concerning the dismissal and the relevant provisions of the Australian Constitution. The political events surrounding the dismissal of Whitlam were both acrimonious and controversial. They are too complex to document here. The immediate cause of the dismissal and dissolution was the Senate’s denial of supply to the government by deferring decisions on two Appropriation Bills which had already received Lower House approval. The protracted deadlock breaking process set out in s 57 (that can involve a double-dissolution and a General Election) could not be used as supply would have run out by then. G-G John Kerr tried but failed to persuade Mr Whitlam to advise dissolution on the principle that a government that cannot secure supply through Parliament should either resign or advise a new election. 3. Maintain the status quo on policy, appointments etc during the caretaker period. (b) The House of Commons requests a dissolution by a vote of two thirds of the House. 2. According to s 64 of the Australian Constitution, the Ministers, including the Prime Minister, serve at the pleasure of the Governor-General. The President of Sri Lanka has no such power. He or she must choose as PM a member likely to command the confidence of the House who can then be dismissed only by Parliament. Mahinda Rajapakse or Maithripala Sirisena types do not undertake to observe the expressed words of the constitution by affirmation. They observe Pansil. I take issue with your interpretaion of Prerogative Powers in a Sri Lankan Context which is at odds with a Sovereign State without a Monarch. “Prerogative powers, often referred to as the royal prerogatives, developed from a time when the monarch was both a feudal lord and head of state. The king thus had powers afforded to him for the purposes of preserving the state from foes, along with feudal powers to act for the public good. There is no one single, accepted definition of what prerogative powers are. Two of the most widely accepted definitions were those provided by A V Dicey and William Blackstone. Blackstone described the powers as powers ‘the King enjoys alone, in contradistinction to others, and not to those he enjoys in common with any of his subjects,’ a definition that was favoured by the courts in the De Keyser’s Royal Hotel case. Despite this, I find myself agreeing more with the definition laid down by A V Dicey; ‘the residue of discretionary power left at any moment in the hands of the Crown, whether such power be in fact exercised by the King himself or by his Ministers.’ Dicey’s definition is somewhat broader to that of Blackstone’s and as such is capable of taking into account the historical developments that have resulted in a change to the way in which the majority of prerogative powers are exercised. As history quite clearly shows, prerogative powers were traditionally exercised solely by the Monarch. However, as time has past, the distinction between the Monarch acting in their personal capacity and the Monarch acting as head of state became more prominent. The government system and the matters faced by government became more intricate and complicated and powers were devolved from the monarch to his or her advisers, who in modern times take the form of government ministers exercising powers in their own right or on behalf of the Monarch.”. You are therefore wrong to suggest “The President’s has no prerogative powers. It doesnt exist in the Sri Lankan context. Yes what he observes is Pansil of which there are 5 versions. – The Governor General of Australia does not belong to any party. He is the Head of state but not the Head of government, and so can be expected to act neutrally. In Sri Lanka, the president is both the head of state and the head of government, and thus will always decide for his own political interests. In countries which are ruled by presidency, for example the USA, the president does NOT have the power to dissolve the parliament (congress) under any circumstances, since obviously he would use it to his own advantage. All the present troubles in SL stem from this ill-conceived hybrid system, where a politician has the power to act as ‘governor general’. The fact is that Sirisena was determined to get rid of RW and was not concerned overmuch with constitutional niceties, and it seems there were enough people to tell him he would not be acting unconstitutionally in following the course he did. Would the SC reinterpret 19A and which version should it be? Could Suri Ratnapala give us the readers an Interpretation of 19A as it appears in the Sinhala text and also in the English text? is there a tamil version too? Also, which version is final? Regarding the MS sack of PM and induction of a successor, Hon Mr Mahinda Rajapaksa, among others, have cited as a precedent the dismissal of the Australian Prime Minister Gough Whitlam and the dissolution of both Houses of Parliament by the Governor-General in 1975. 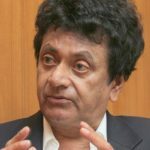 Fellow of the Australian Academy of Law, Attorney-at-Law, Sri Lanka has penned the ~ “Comments On The Comparison Of The Present Constitutional Question With The Dismissal Of The Whitlam Government In Australia”. The MR citation is a red herring. Gough Whitlam, a humanist, was the first Australian PM to address the plight of the disadvantaged Australians. Following the sack, he let out steam via the famous “Keer’s Cur”. Australians found in Malcolm Fraser a humanist who cared for the world’s disadvantaged. By the way, recent ‘happenings’ is pointing towards a coup d’état. It is not ~ “……The Present Constitutional Question’. We have to treat it as such NOW to prevent repeats. 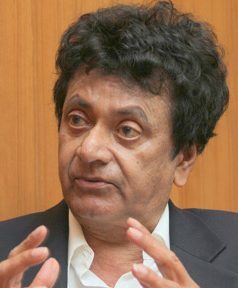 Prof. Ratnapala admits that GG of Australia does have the power to dismiss the PM and call for General Elections if circumstances so warrant. Prof. Ratnapala’s Sovereign is Elizabeth, Queen of Australia and other realms. He should not mix up the fix terms Act of UK which is yet another realm of Elizabeth II. As long as the act is operative, 2/3 majority of members should be in favour of a dissolution prior to the full term. More than Australia, UK is a country which is full of traditions. In Australia, the PM has to take the oath of office to assume duties as PM. In UK the prospective premier answers “YES” to the question as to whether he/she is willing to run His / Her Majesty’s Government and with the kiss of the hand, all in closed doors, the selectee becomes the PM. It is the tradition and the spirit of the elected representatives that they are always ready to face an election if invited so. Accordingly the MP’s across the divide agreed with Premier Teressa May to dissolve Parliament and face an election. Remember UK, a country without a constitution can repeal the fix terms act with a simple majority in Parliament revert back to the former setup of holding elections. My position is as far as Sri Lanka is concerned people are sovereign, it is they who should decide for instance whether this Parliament should be dissolved or not. Let an authoritative decision be taken by the people and end this era of uncertainty. Talking of confusion, how is yours dear? In your last article you said -: “Second is the presumption that the later enactment prevails over the earlier contrary enactment. (Leges posteriores priores contrarias abrogant.) Art 70(1) as introduced by the Nineteenth Amendment is the later enactment that was clearly intended and has effect of qualifying and limiting the power of the President to dissolve Parliament.” This was extraordinarily silly. You were unaware, that both 33(2)(C) and 70(1) were introduced by the 19A and that it’s wrong to say 70(1) was the latter enactment and 33(2)(C) the earlier contrary enactment. Your ignorance is all the more striking in that you wrote a chapter titled “Failure of quasi-Gaullist presidentialism in Sri Lanka” in a collection of scholarly essays edited by Asanga Welikala- “Reforming Sri Lankan Presidentialism – Provenance, Problems and Prospects” and published by CPA. Can one be a constitutional expert without being fully cognisant of the relevant constitution? Why should we believe your cognisance about Australian affairs are any better? Whitlam government was dissolved because it was unable to function / pass bill…So GG dismissed Whitlam and election was held soon after / country had new government and prospered. The rest is history and a lesson for Sri Lanka!!! I like to answer the challenge thrown to Prof Ratanapala. I do not claim the Constitutional law expertise of Dr Ratnapala but I do claim that an award for the best translation of the year which I was honoured to receive for translating Gunadasa Amarasekera’s Vil Thera Maranaya gives me some credibility. එසේ වුවද, … Provided that … පාර්ලිමේන්තුව විසින් … Parliament by …. එහි නොපැමිණි මන්ත්‍රී වරයන් … Members who are not present ….ද ඇතුලුව … including … මුළු මන්ත්‍රීවරයන්ගෙන්ගේ සංක්‍යාවෙන් … whole Membership … තුනෙන් දෙකකට…two-thirds … නොඅඩු සංක්‍යාවකගේ … of .. not less than … යෝජනා සම්මතයක් මගින් ….by passing a resolution .. පාර්ලිමේන්තුව විසුරුවා හරින ලෙස …that he dissolves Parliament …. ජනාධිපතිවරයාගෙන් ඉල්ලීමක් කරනු ලබන්නේ … requesting from the President … නම් මිස, … unless … පාර්ලිමේන්තුවේ ප්‍රථම රැස්වීම…. for the first meeting of Parliament … සඳහා නියම කරගනු ලැබූ දිනයෙන් ……from the day appointed for …. අවරුදු හතරක් සහ මාස හයක කාලයක් …. a period of four years and six months …. අවසන්වෙනතෙක් …. till the expiry of … ජනාධිපතිවරයා විසින් …. By the President පාර්ලිමේන්තුව විසුරුවා හැරීම …. dissolution of Parliament … නොකළ යුත්තේය… should not be done. This is obviously not expressing the sense of words or text in one language in another language, as is required of a translator.